Join us for Shabbat morning services. Prayer in a community setting, Torah reading, and of course a delicious kiddush. Hebrew books with English translation are provided. Page numbers are announced throughout the service. Receive a personal, special blessing during the first Shabbat service of each month followed by a delicious Kiddish and birthday cake! 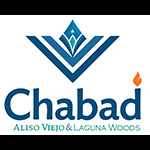 Contact Rochel Leah at Rochel@jewishalisoviejo.com if you would like to sponsor a Kiddush in honor of your special occasion or just because.